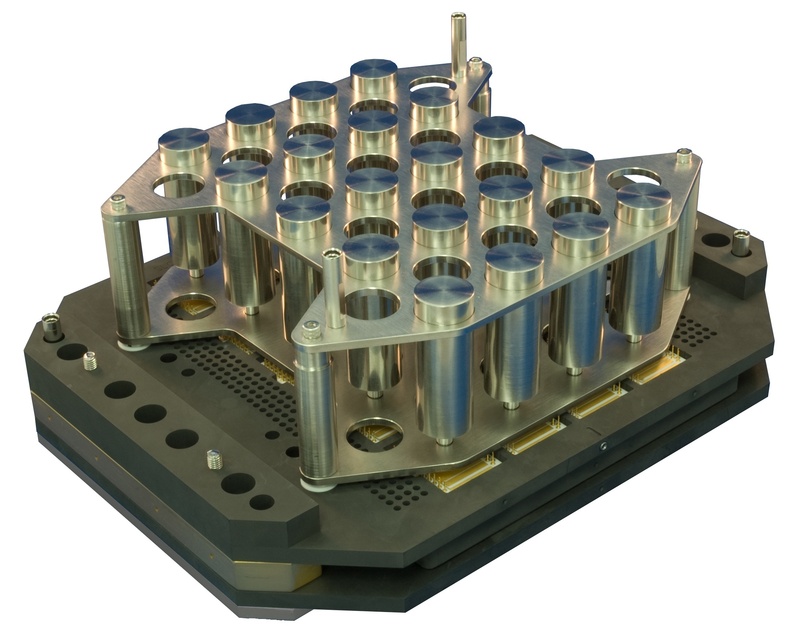 The specialized semiconductor grade graphite tooling manufactured by SST Vacuum Reflow Systems can be used for many years with proper maintenance and procedures. The following is a guideline to keep your tooling in the best shape possible. - Check fasteners for looseness. The heat cycling will naturally loosen the fasteners used, so they need to be tightened when loose for proper operation. - Check for obvious damage to the tooling or electrodes. - Check for cracked or broken graphite plates, replace as necessary. - Clean the graphite parts when necessary using ultrasonic with D.I. water for up to 30 minutes, blow dry with dry nitrogen to remove excess water, and then bake out (preferably in a vacuum oven other than the reflow furnace) at 250 degrees Fahrenheit (120C) for 1-2 hours to remove residual moisture prior to using for any soldering activity. - If there is anything that does not come off the graphite, use Methanol instead of D.I. water for the ultrasonic cleaning. - If there is any residue that prevents the graphite plates from making full contact with each other, you can carefully scrape it off with a sharp-edged blade. - Flux or epoxy residue may be impossible to remove as it usually is anchored in the pores of the graphite. Never open the vacuum chamber until the temperature is below 200 degrees Celsius. Graphite will oxidize in air at elevated temperatures, so the lower the temperature when the chamber is opened, the better. High temperature tooling (over 450 degrees Celsius) will require replacement more often than tools used at a lower temperatures. Handle the tooling with the provided ball-lock pins. This will minimize the chance of burning yourself and dropping the tooling, which generally results in broken tooling. If you touch the graphite with your hands, you should be wearing latex gloves to prevent the transfer of skin oils to the graphite. Following these general procedures will help ensure long life and optimum performance from your graphite tooling, which will increase your manufacturing yields and output and reduce the lifecycle cost of your system. For more detailed information or clarification, contact us here.